Just checking in quickly today. 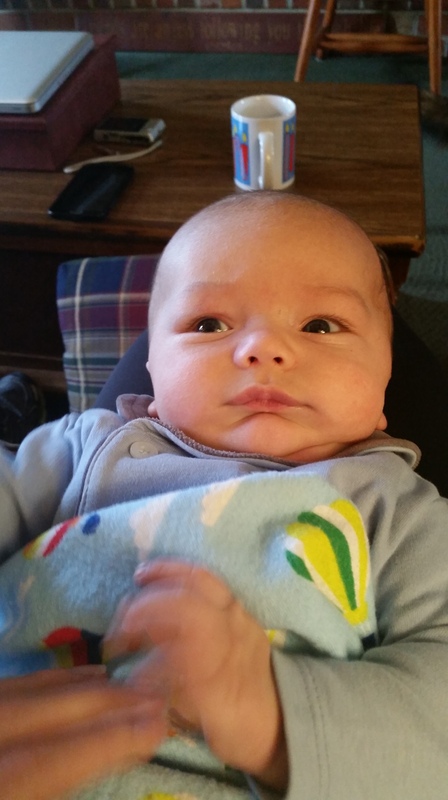 Amanda and I are up in Virginia today to see my 3 month old nephew Blake. 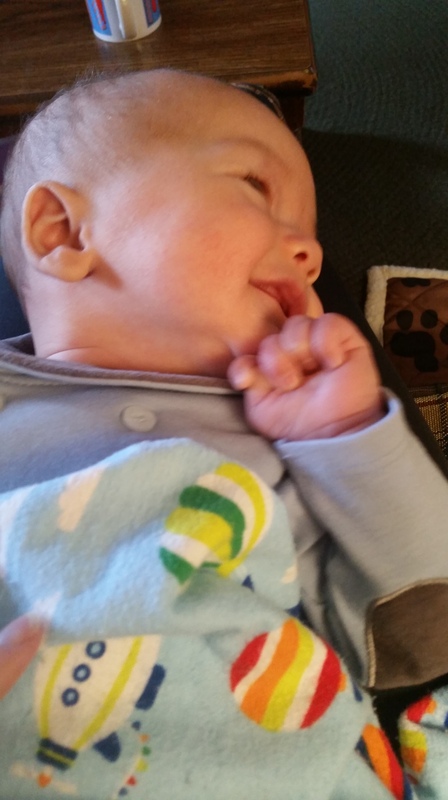 He’s a very cute baby which is good because some babies look like lizards. We’re not sure why he’s so cute and if you had seen my older brother you would wonder too. Pretty sure he got all his looks from his mom although balancing coffee cups on his head is likely from his dad. Before we went up, it was nice enough outside to get some ice cream so we took Indy along. She LOVES ice cream and hasn’t had any since last summer. She knew too, as soon as we came out with the ice cream she got very excited and reached up to sniff the bowl. 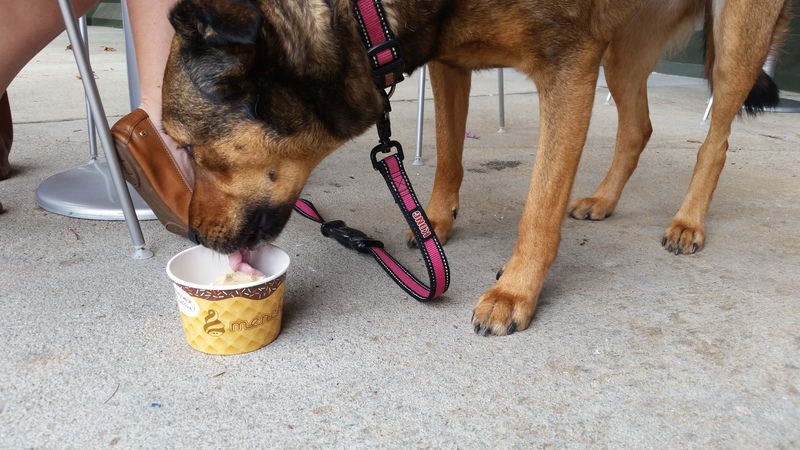 We got her a peanut butter and vanilla bean combination, two of her favorites. Indy’s reaction to the new nephew is pretty entertaining. She is a little scared of the tiny person but also seems very concerned when he cries and is constantly checking on him to see what’s wrong. Then when someone takes the baby elsewhere she sniffs the spot where he was to investigate. The jury’s still out but I think she’s ok with him.